Improved Processing of Student Applications from the Philippines - Gateway to Canada | Canada Immigration Consultancy! To support the growth in study permit applications, IRCC announced the Student Direct Stream (SDS), which is available to students applying for a study permit from China, India, Vietnam and the Philippines. Students from those countries who demonstrate upfront that they have the financial resources and language skills to succeed academically in Canada will benefit from faster processing times. When the Study Direct Stream was first launched in Manila last year, only students with Letter of Acceptance from a publicly funded institutions may be eligible. Just how fast is the processing time under the Student Direct Stream? IRCC's commitment is one month. But sometimes, they are really fast. It only one week for the case of Mr. Robert Santos, who will be studying at Vancouver Community College. If you intent to apply for any type of visa to Canada, you may get the information free by visiting www.canada.ca. 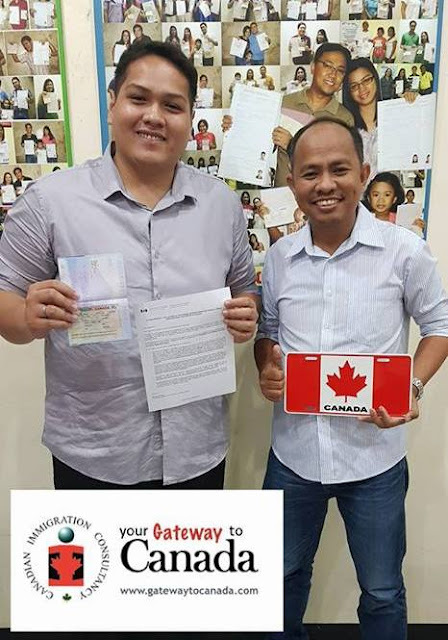 But if you think you need help, you can bank on Canadian Immigration Consultancy's over 20 years of experience doing Canada Visa applications. Take our free online assessment for a start.